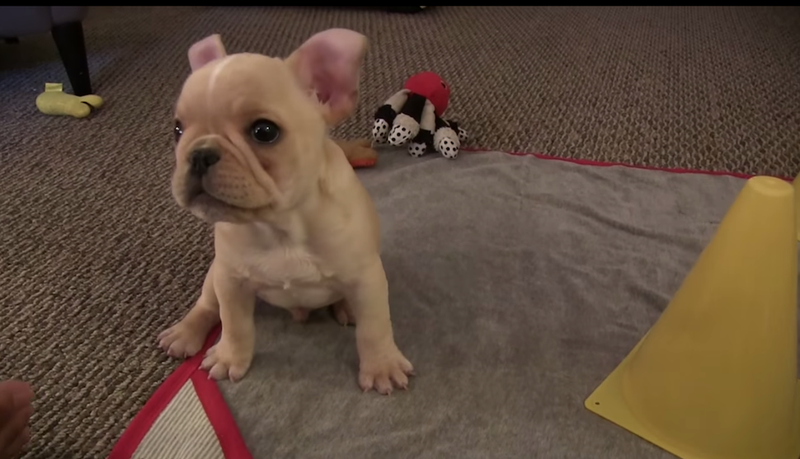 My entire body aches after seeing this video of a French Bulldog puppy performing some really easy tricks that any able-bodied 24-year-old woman could do, too. Watch as his smooshy little paws ring a bell at 1:12, which, again, I have done and could do again right now if you don't believe me. Honestly, it's kind of unfair that Brody is getting all this attention, because I feel like I have a lot to offer in terms of sitting and crawling and accepting food, but that's the fame game and I've accepted it and moved on and Brody and I are on good terms and everybody really needs to stop expecting me to live this performative lifestyle because some of us don't want the spotlight, okay?? ?